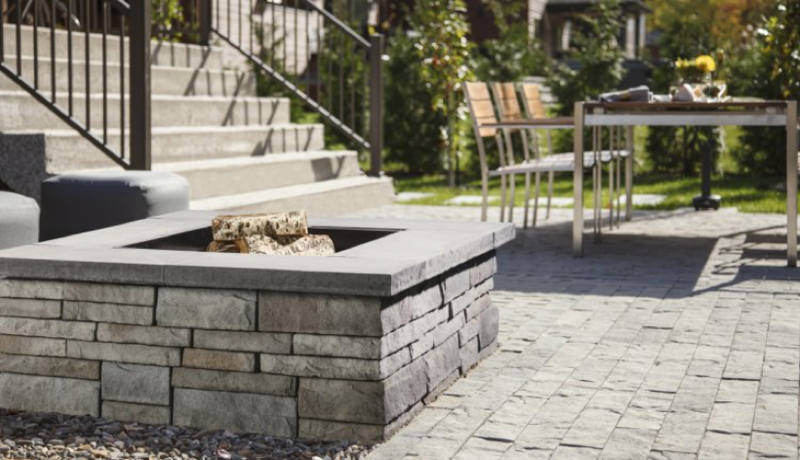 Outdoor grills, fire pits and fire places, today, there are many different fire feature options available for outdoor spaces; each of which can be achieved with fire wood, natural gas or propane. Any way you spark it, there are pros and cons. Let’s break it down - which options are best for setting the mood for roasting marshmallows, hosting events, stargazing and all other activities a-like. Traditional at the core, the crackling of wood burning fire pits and outdoor fireplaces will bring you back to your childhood camping trips. Wood’s old warm charm and amazing scent makes it the ambiance expert. It’s also an easy add-on to an already hardscaped area. That being said, if wood burning fire features aren’t paired with smoke screens, they may create ash capable of burning cloth and dirtying the paved area around it. Naturally, containing the fire is an easy fix. However, for all the anti-smoke screen purists out there, just be sure to switch into your sweats before making smores! The only other downside to these types of fire pits, fire bowls, etc. is that they require maintenance. Whether it be purchasing, chopping, or housing wood logs in a dry area, upkeep is a must! Many cities have passed by-laws that restrict wood-burning appliances so make sure to check this out before your purchase. Looking for heat? Consider an alternative. Gel fueled logs do not give off as much heat as the other options listed above. They are also harder to find in brick-and-mortar stores, leaving many homeowners to have to turn to the internet and dreaded shipping fees. BUT, they are a far more eco-friendly option! If your municipality has instated strict air quality bans, this might be your Hail Mary. 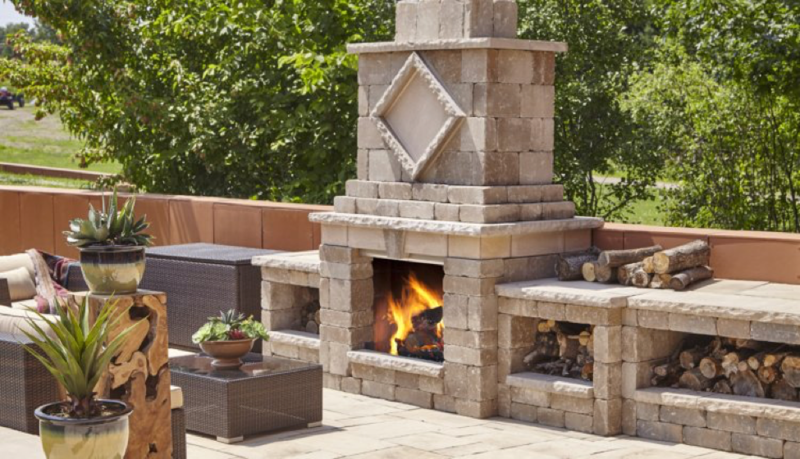 They are easy to assemble, mimic the aesthetic of real wood, and will leave your backyard oasis free of embers. Natural gas fire pits are all about convenience; with the push of a button you’ll have a stunning flame last you the night and then some. Don’t have a pre-existing natural gas line in your outdoor space? You might want to reconsider this option. Although the gas itself might be easy on your pocketbook, installing a line can get rather costly. It all comes down to how often you intend on using your fire feature and how much you value not having to run to the store to purchase fuel (i.e. wood or propane). And remember, unlike other options, natural gas lines (and consequently natural gas fire pits) cannot be easily moved. Want to learn more about cost savings? A certified contractor will be able to help you evaluate options given your specific circumstances. 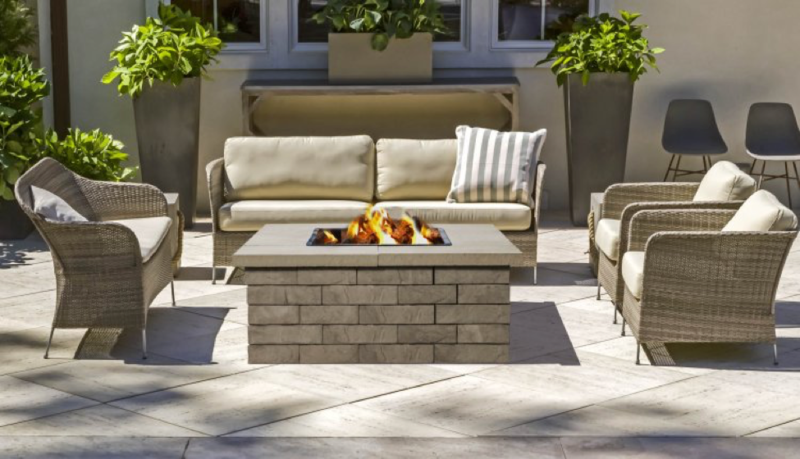 That aside, these fire pits produce neither embers nor smoke, making them the perfect fit for even the most modern backyard. Furthermore, like wood fire pits, natural gas ones are safe for cooking. 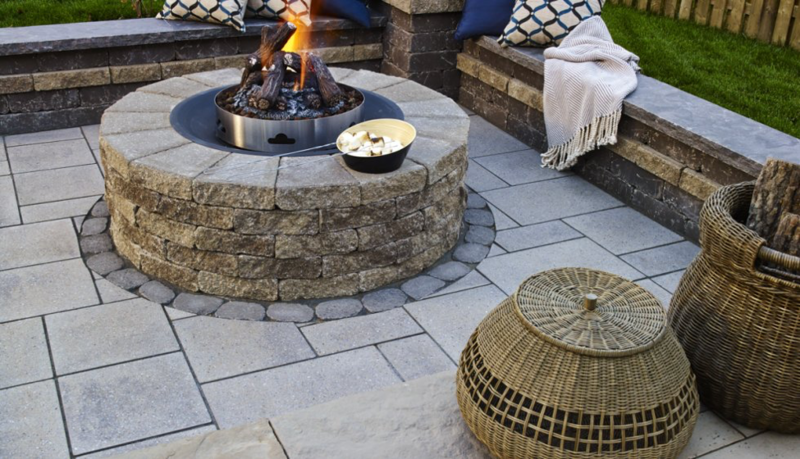 Propane fire pits are a good choice when your fire pit is an add-on/after-thought to your outdoor space. It avoids having to dig anything up to pass a gas line but gives a similar effect as the natural gas fire feature. Given the absence of wood, they too are virtually clean-up free. That being said, your propane tank must be refilled and you need to get creative of how to conceal it and have easy access to it. No one likes the idea of a propane tank leisurely hanging out next to a fire pit with a hose connecting the two.